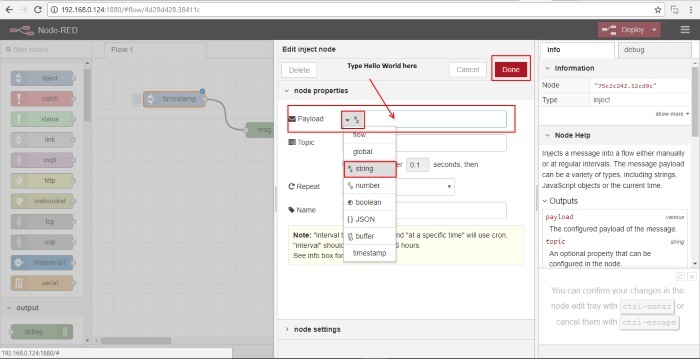 We will learn about Node-RED, how to install it, how to use the visual interface to create a simple flow. 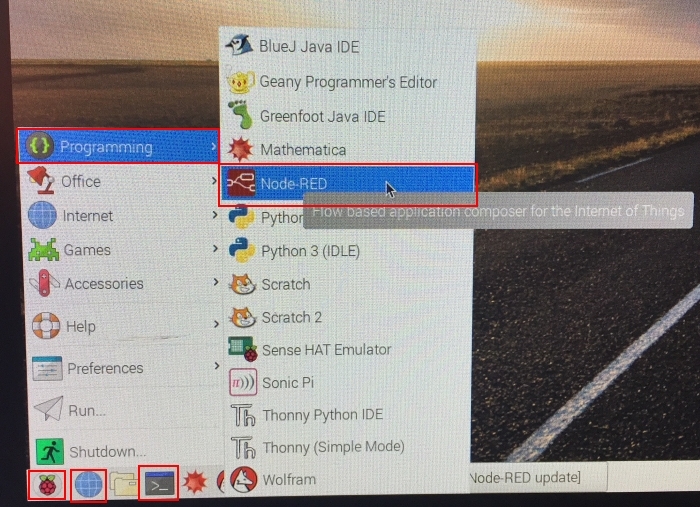 Node-RED is a powerful open source tool for building Internet of Things (IoT) applications with the goal of simplifying the programming component. 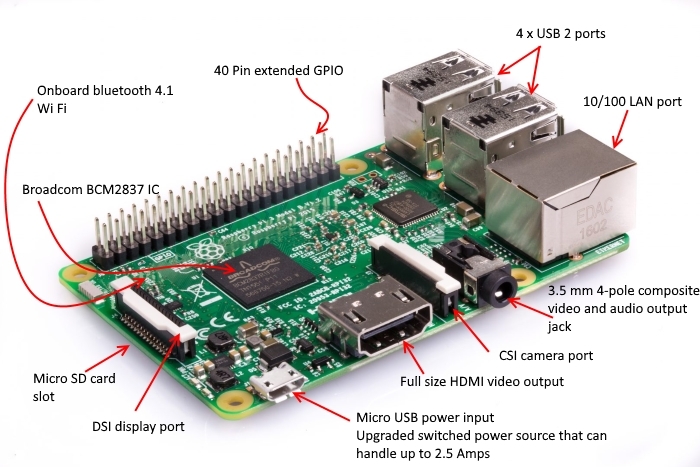 It's developed by IBM. 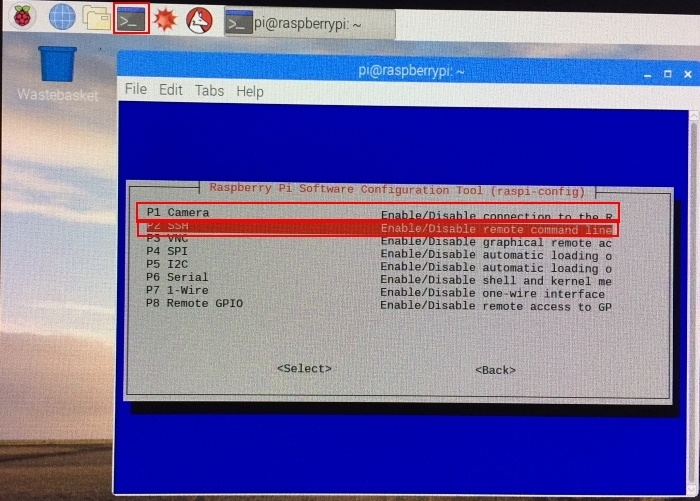 The Raspberry Pi runs Node-RED perfectly. With Node-RED you can spend more time making cool stuff, rather than spending countless hours writing code. Programs in Node-RED are called flows. 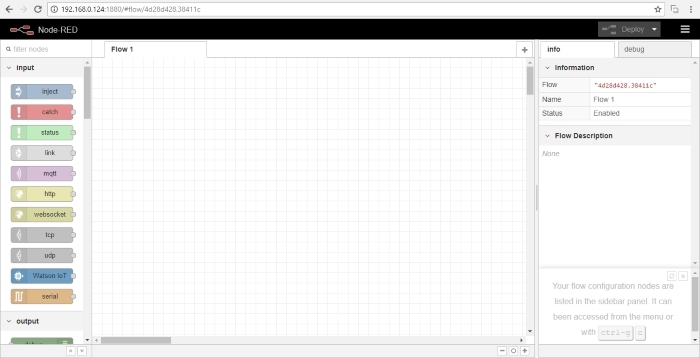 You can see that your blank page is labelled as Flow 1 in the tab at the top. You can create as many flows as you want and they can all run at the same time. 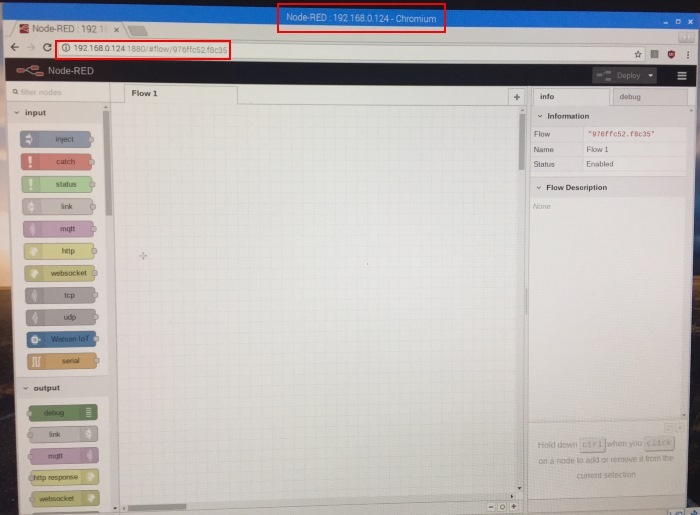 Store and retrieve data from a database. 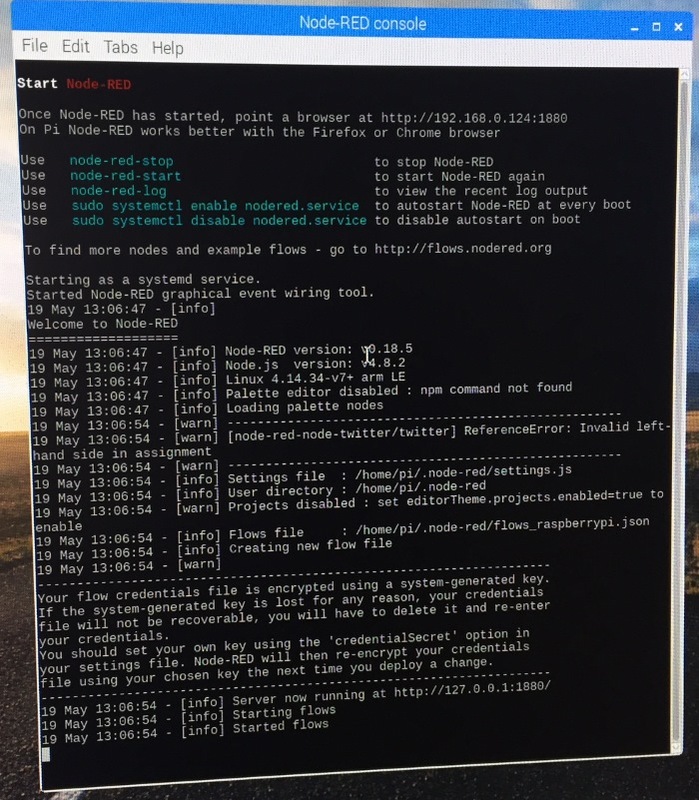 You can find the Node-RED Library here. The coloured blocks on the left side of the interface are the nodes. 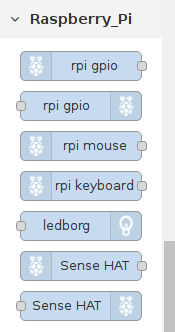 Scroll right down to the bottom of the list and you will see some nodes labelled Raspberry Pi. 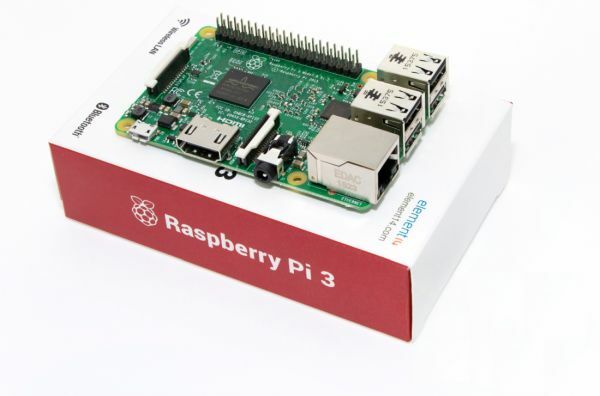 It uses a visual programming that allows you to connect code nodes together to perform a task. 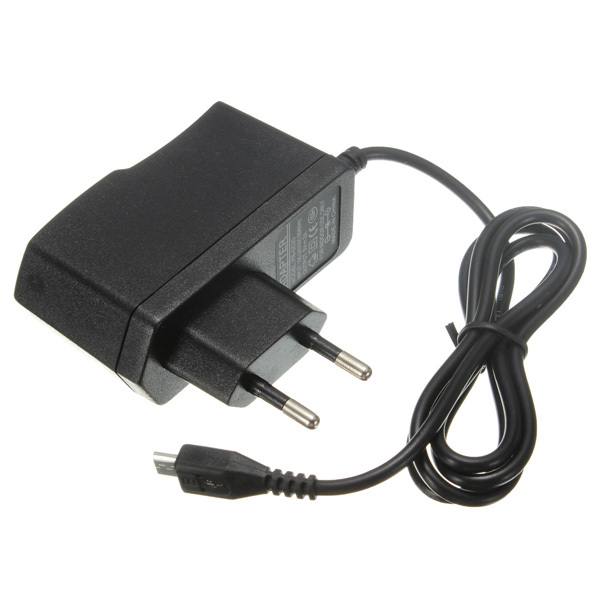 The nodes when wired together make flows. 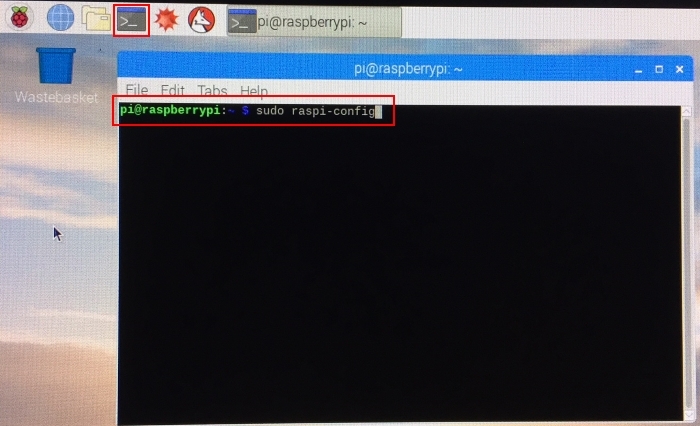 When the Raspberry PI desktop start up. 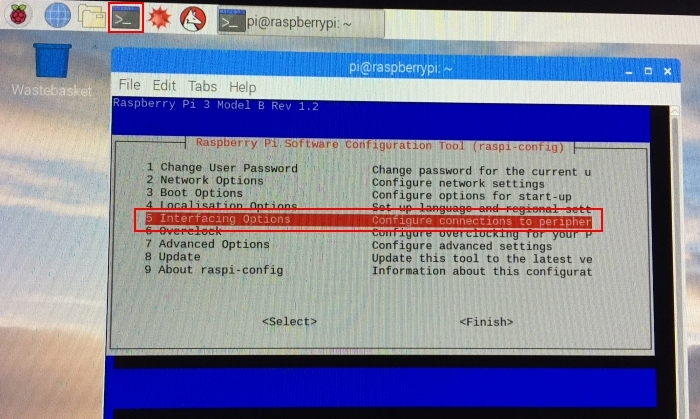 Click on the Raspberry icon, then the Programming menu to open Node-RED. You will see similar page. On the left-side, you can see a list with a bunch of blocks. These blocks are nodes and they are separated by their functionality. If you select a node, you can see how it works in the info tab. In the center, you have the Flow and this is where you place the nodes. Drag an Inject node to your flow. 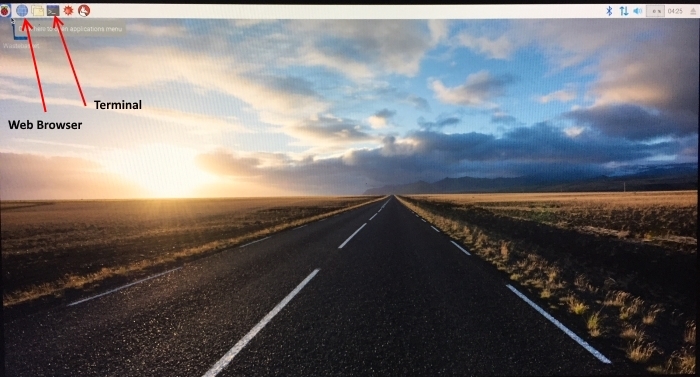 Drag a Debug node to your flow. Connect your nodes together. You can drag them to confirm that they are connected. Edit the inject node. 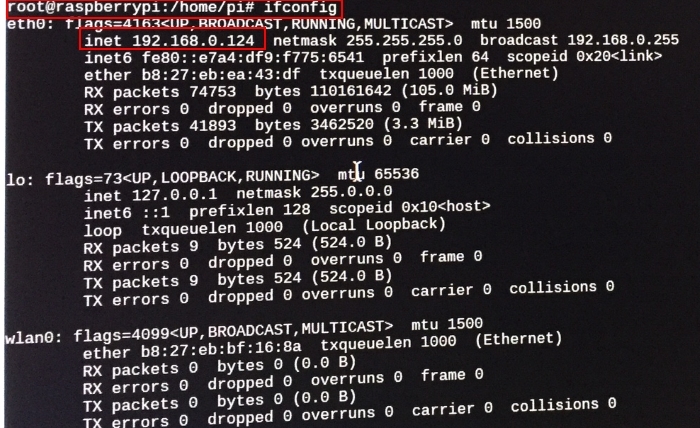 Double-click on the node. 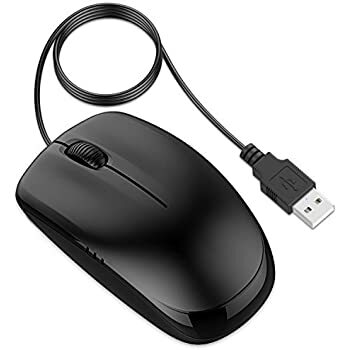 It has different settings which you can change. Select string and type Hello World. Press OK button. 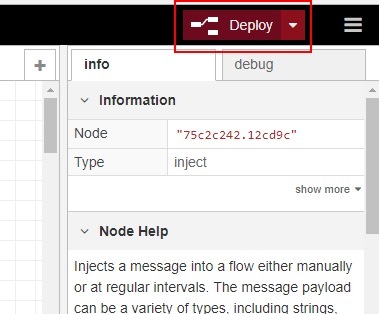 To save your application, you need to click the Deploy button on the top right corner.Your application is saved. Let’s test our flow. 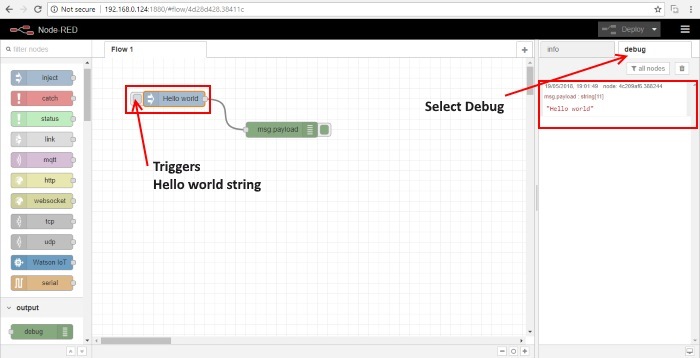 Open the Debug and click the Inject node to trigger the “Hello World” string. Our message has printed in the Debug window. It is a basic example. 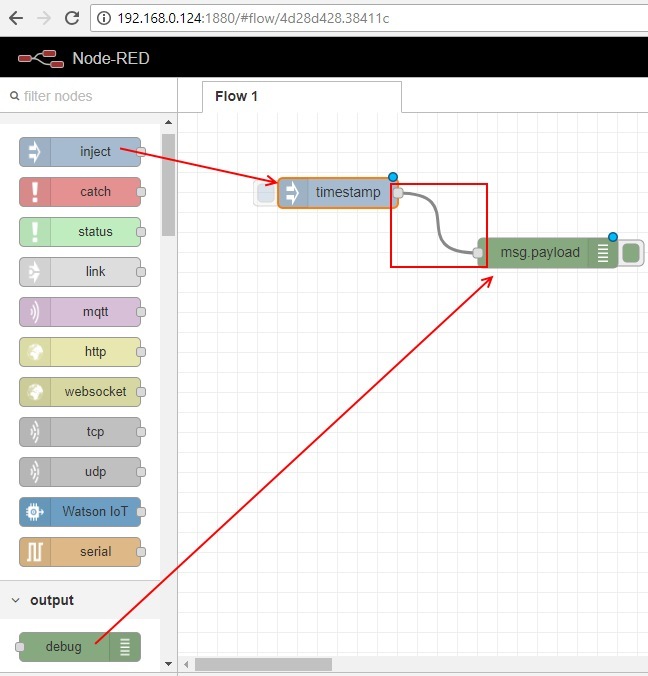 We have learnt about Node-RED, how to install it, how to use the visual interface to create a simple flow.